The celebration continues! As you can see, the blog is now officially nauticalbynatureblog.com! 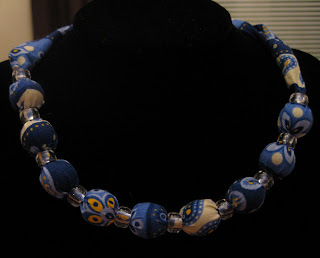 Erica from Jewelry Without Jewels is giving away this great necklace to one lucky reader! I won one of her necklaces thanks to TAG at JGIWC and her products do not disappoint! Giveaway ends Tuesday March 31st! I would love to be entered :) And I am already a follower!! I'm totally a follower! Love the necklace- so cute!! What a fun necklace! Please enter me too (follower). i love erica's stuff! she was my pink swap partner! im already a follower and posted about the giveaway! Love it! Count me in - and I'm a follwer! Great giveaway! Congrats on your .com! Do you have to pay for it? I'd love to enter your fabulous giveaway and I'm currently a follower! Love it!! and i am a follower! What a beautiful piece of jewelry. It is perfect for anytime of the year. I am a follower on Google reader. Cute necklace! I'd love to enter. I would like to enter, plus I am a follower! PS: And, congrats again to the new domain. That is just huge! Hi, I am a follower and I posted it on my blog. Cute necklace! I'm a follower! Kate, I'm loving your giveaways! As you know I'm already a follower. Love the necklace! please enter me! i love the necklace! Please enter me! I'm a follower!! Thanks so much! Love Jewelry Without Jewels! I am a follower AND I will blog about this wonderful giveaway! Oh the necklace is super cute! love the necklace! i am a follower of course! Love the necklace. Please count me in. i'm already a follower and will be posting on my sidebar. That is a very pretty necklace! I'm a follower. Pretty! I am a follower!! Cuteness! I'm also a follower! I love her necklaces! I'm followin' and I'll post a sidebar link as well! Love It! And I am a follower!! Cute necklace sign me up. I am also a follower and I posted on my blog.